On the go but need to know? Use CCL Mobile, our library app, to find books and DVDs, download digital music, audio and eBooks, get directions to our libraries or to register for programs and classes. 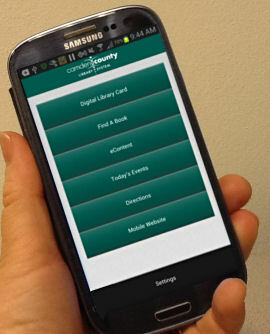 You can even store a digital library card on the app. The app is free and works on Android and Apple phones and tablets. To download the app, go to Google Play for Android devices and the iTunes App Store for iPhones and iPads and search for Camden County Library Mobile. 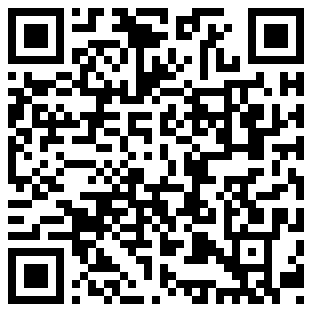 You can also use the QR codes at the bottom of this article. Use the Find a book button to search the catalog or check to see if a book is in our collection. Search the mobile catalog by keyword, title, author, subject or call number to find items in the Camden County Library or Camden County College Library. You can select a material type like music or DVD to limit your search. If you have a library card you can check your account, renew or request an item just as you would on your computer. If you see an item in a book store or in your friend’s collection, tap the ISBN scanner button to see if our library has it in stock. The app uses your camera to scan the ISBN barcode and searches for the number in our catalog. It will tell you if we own the item and if it is available to check out. Tap the Econtent button for access to all of the library’s digital content. Search for and check out ebooks, audio books, digital magazines and music downloads directly from your mobile device. If you don’t already have the Overdrive, Zinio, Freegal or Freading apps on your device, you can use our app to download them. Looking for something to do? Tap Today’s Events to find out what’s happening at our eight branch locations. Follow the link from the Today’s Events page to our mobile website to get more detailed information about future activities, classes and upcoming events. Want to find the closest branch to your current location? The Directions button will show you the location of all of our libraries, and, if you have GPS enabled, will tell you which is closest. The app will map directions for you from your current location to the library branch you select. Each branch listing also has a call button so you can contact a branch by cell phone with one click. If you need more information than you see on our app, tap the mobile website button. The mobile site offers nearly all the content of the main library website in a format easily viewed on your phone or tablet. Download the app to your iPhone or iPad. 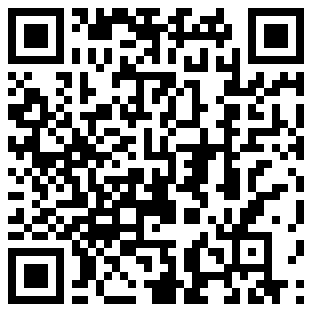 Download the app to your Android device.